Governor Mike Sonko has accused his former Education CEC Janet Muthoni Ouko of misusing bursary funds hence her resignation on Monday. Speaking in Mombasa on Wednesday, the governor said that Ms Ouko in cahoots with other unidentified individuals illegally operated bank accounts where county funds were channeled. “The former CEC and her staff have been issuing bursary cheques to Obudhe education centre since during Evans Kidero era. In total Sh10 million for the 2017-2018 got lost under her watch,” Sonko said. But Ms Ouko has denied the allegations and has accused the county boss of highhandedness and intimidation. Speaking to K24 TV, the ex county executive said Sonko promised to “unleash hell” on her this year. This she says was after he invited EACC sleuths to look into misuse of funds in her office last year. “You know he actually promised me, if I thought he gave me headache last year over this same bursary issue, this year is going to be hell. Then I figured why would you wait for someone to unleash hell on you?” she said. During the investigations, she added, her name never came up. She further accused Sonko of mistreating her during her stint as Education CEC. “You know there are people who behave like when they appoint you to a position it means so much, it’s like they have married you, it’s like they have given birth to you. That’s not the situation. This is a job and the terms are very clear,” Ms Ouko continued. 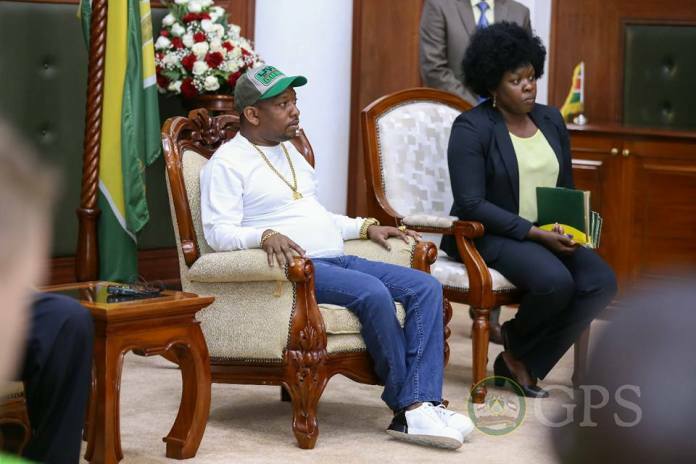 During a presser at the City Hall on Monday, she told reporters that she has had a “good working relationship” with Sonko but sources close to the details say that the two have constantly disagreed. The CEC has reportedly not been agreeing with the governor’s modus operandi as he refuses to call cabinet meetings while also not giving them proper guidance and support in the course of their work. Her resignation takes effect on January 31.